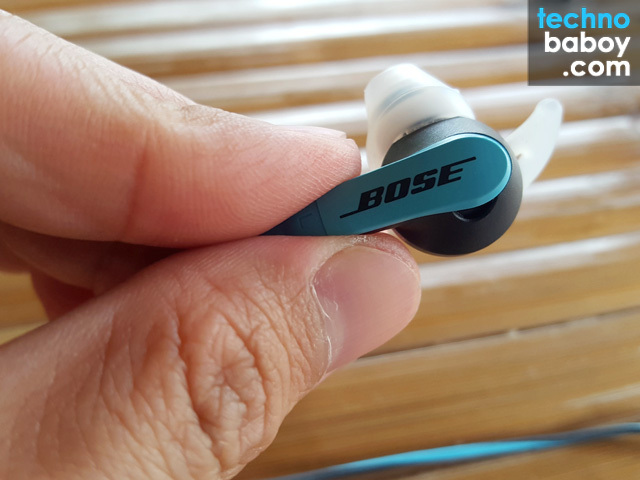 The Bose SoundSport In-Ear headphones is the company’s offering for the athletic and physically active. It’s built to withstand most sports activities outside of swimming. We were lucky enough got our hands on one and gave it a run. The Bose SoundSport in-ear headphones are designed for sports activities. The black plastic and aqua blue plastic and rubber accents give it an attractive sporty look. 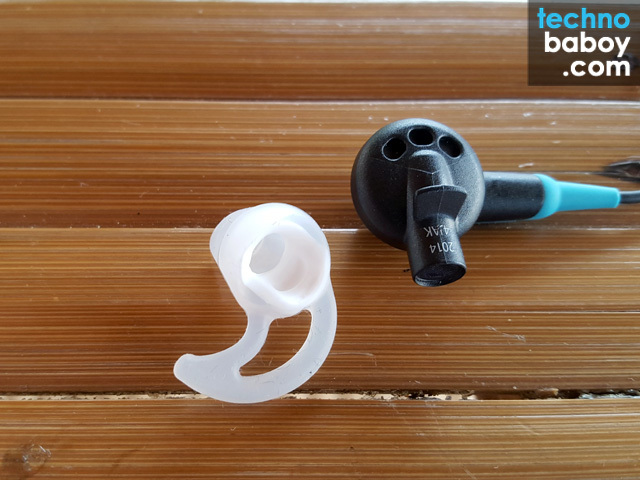 The earphones are covered with soft silicone tips that come with a “hook” that latches to the upper lobe of your ear. It is surprisingly very comfortable to wear, and is snug enough that it doesn’t fall out while running or jumping around. The Bose SoundSport In-ear headphones shine when it comes to comfort. It is one of the most comfortable earphones I have tried. It’s very light weight and it feels like you’re wearing almost nothing. 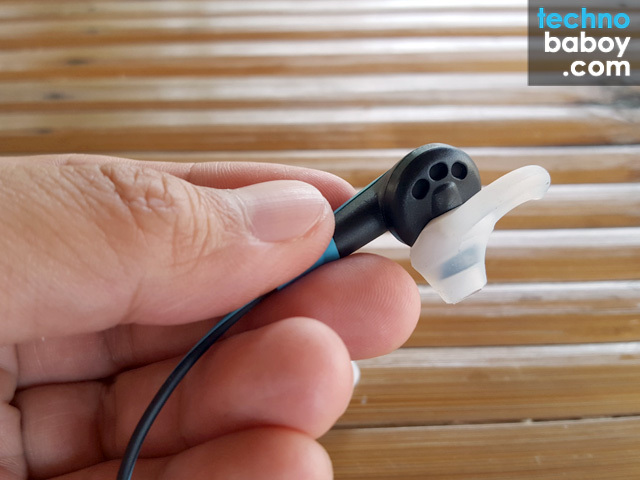 The silicone tips covering the earphones are very soft and fit very well. Like most of Bose’s earphones, audio performance is quite good. Music sounded crisp. The vocals were clear and pronounced. There’s an ample amount of volume as well. I wish there were more bass though. It’s there, but it could have been deeper and punchier. The SoundSport In-ear has a mic receiver as well. Received and accepted calls came in nice and clear. 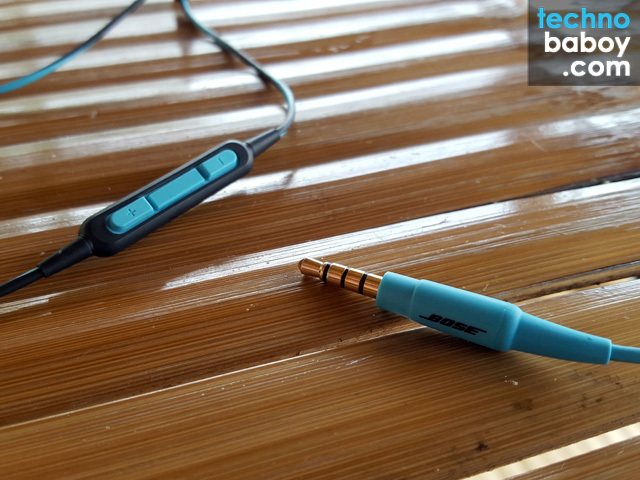 The Bose SoundSport in-ear headphones are not hard to recommend. The sporty crowd would definitely find these appealing. It is very comfortable, it’s light, it sounds good, and it comes with a carrying case (always a plus). My only concern at this point is the price. At PHP 6,900, it is a bit expensive. 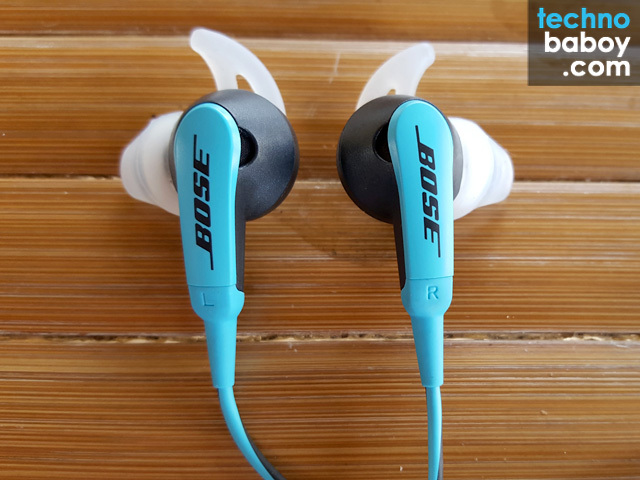 But if you’re a fan of Bose, you won’t be disappointed with these. 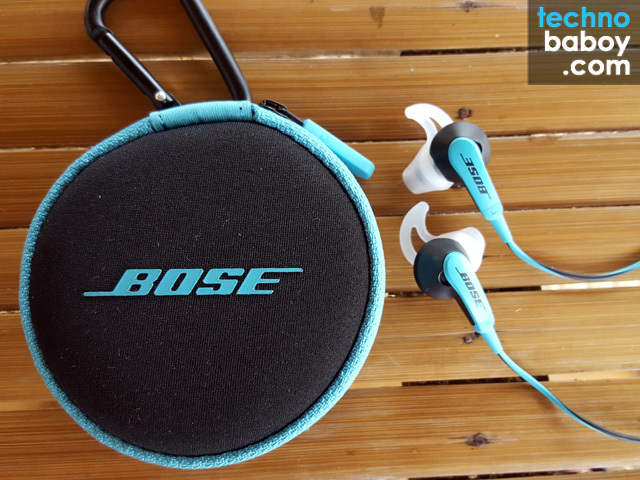 The Bose SoundSport in-ear headphones are available through Bose retail stores in Metro Manila.